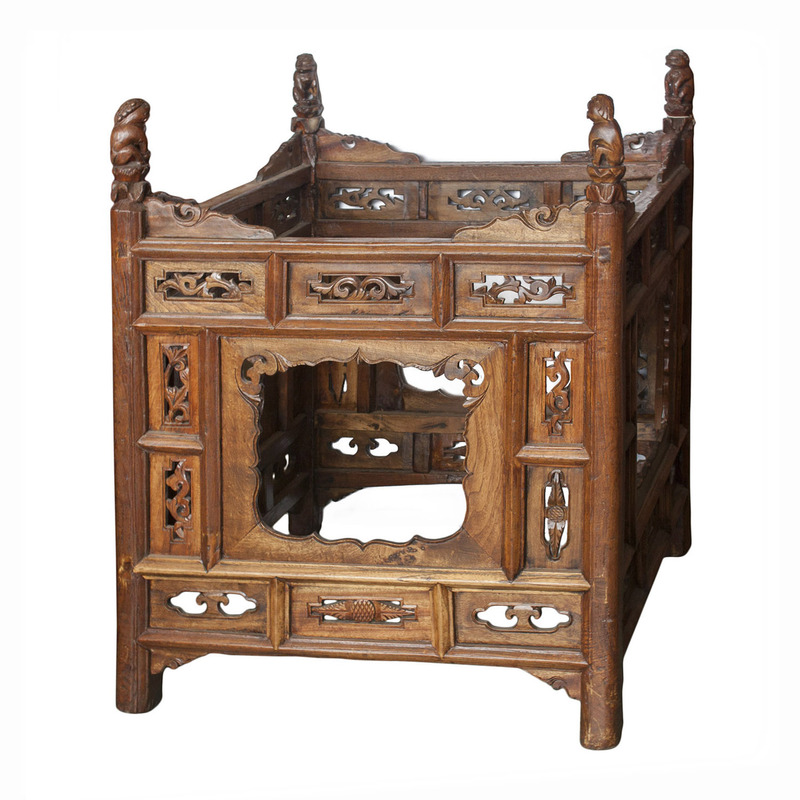 This interesting large size carved stand was a puzzle until recently an expert in restoring old Chinese furniture visited our gallery and told us what it was as he once fixed another similar item like this. 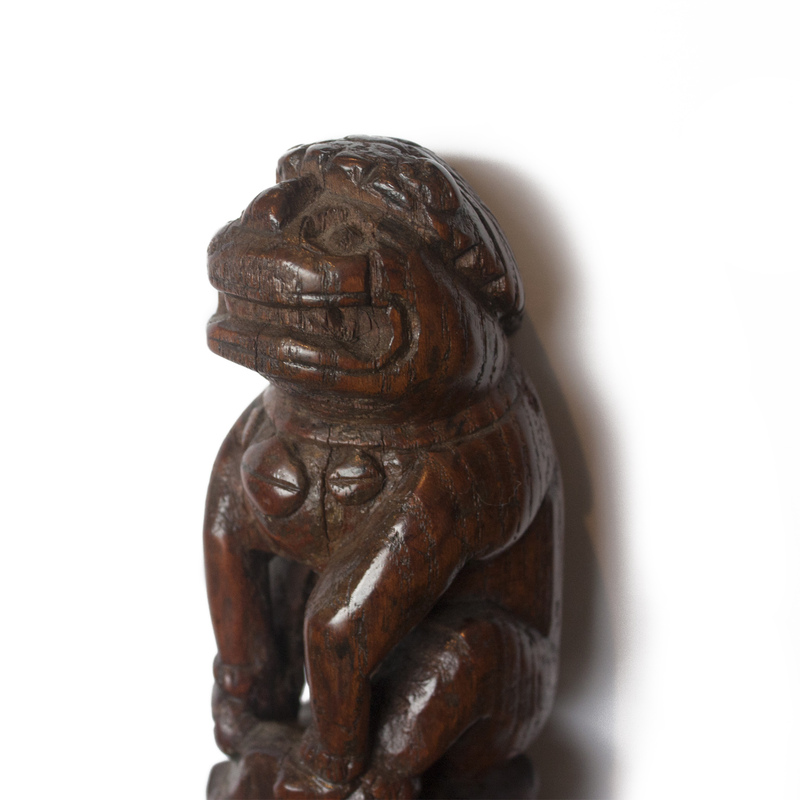 This early Qing stand is a lining case for a bowl containing burning coal. The bowl would be hung by four metal chains in the middle of the case as a source of heat during cold weather. In one of the detailed photo, one can see this case has one metal loop inside and is missing three metal loops and connecting chains. The frame is made of Yu wood, northern Chinese elm. 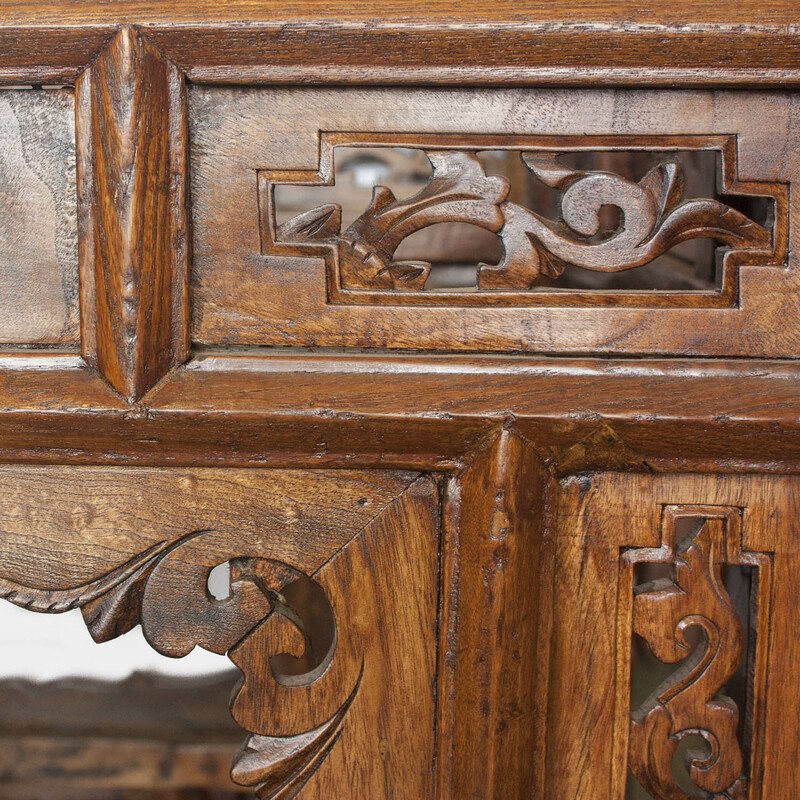 The carved panels are made of Chinese walnut hardwood. So, this piece is actually a lining case for a brazier stand. What an unusual carved piece with wonderful Fu-lions on the top at the four corners! Furniture and one's living space are like twins not separable in both practical and spiritual way for many. 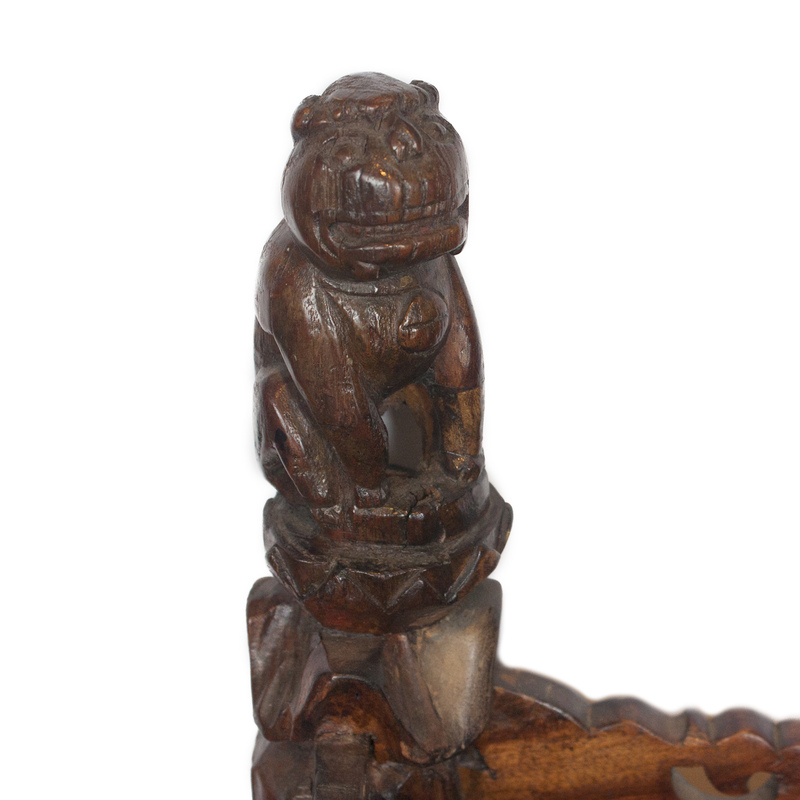 On old Chinese furniture pieces, we often see carved auspicious symbols to bless the people who lived in the house. The Fu-lion is generally a “blessing” and a symbol to ward off the evil. Dimensions: 31"w x 31"d x 39 1/2"h.